2 models complete for Kingdom Death. The White Speaker and the Warrior of the Sun. The White Speaker followed a previous version I did in the last commission. Lots of white and the red bit of free hand on the face cloth. The Warrior of the Sun, though… that one is different. She has tassels and a tentacle in a pool of ooze that she is running through. I am always excited to use the GW technical paints. The ooze just makes the scene. 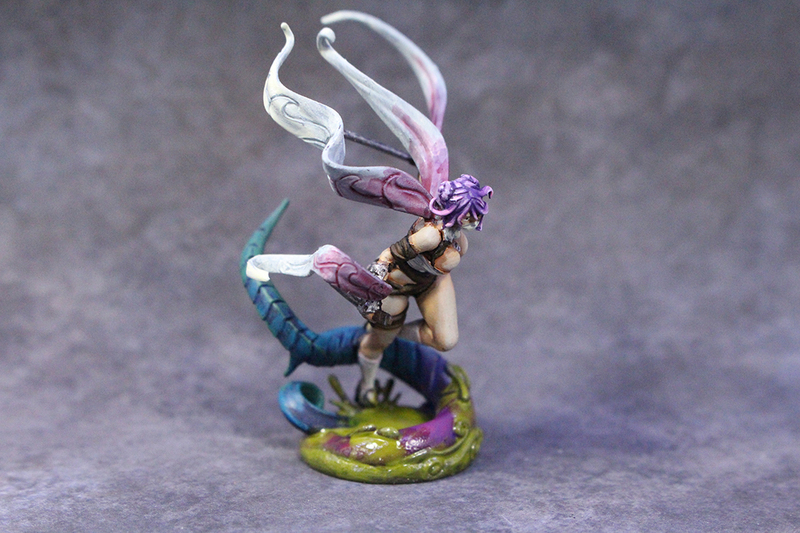 A multi-coloured tentacle monster trying to catch her in a pool of ooze while she is trying to flee or kill it. Also, she is a ninja. Groups shots! All the great looking models all clumped together. 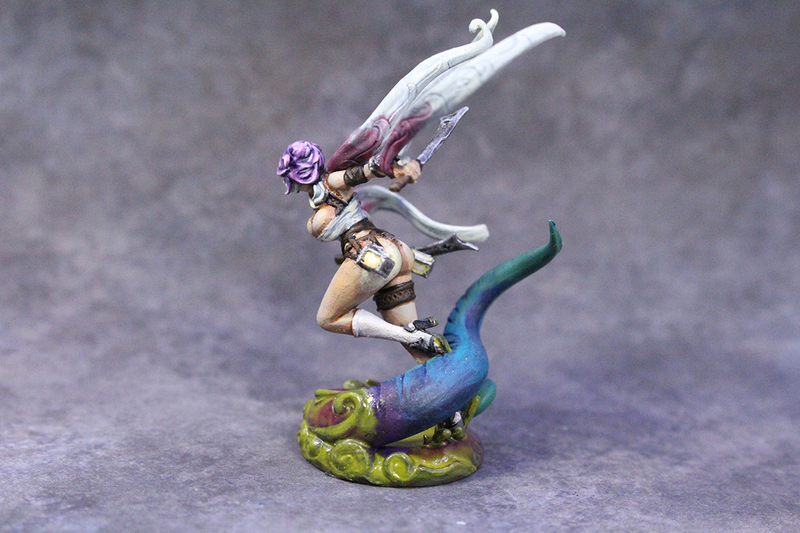 The Kickstarter for 1.5 Kingdom Death: Monster finished and I am super excited about that…for the next 4 years for more lol. No breaks on the Poots train. Next commission coming up, Eldar for Warhammer 40k! Posted by Jason Bergunder in board game, StaticGrass Creations. 3 more models complete. The Architect, Before the Wall, and Beyond the Wall. 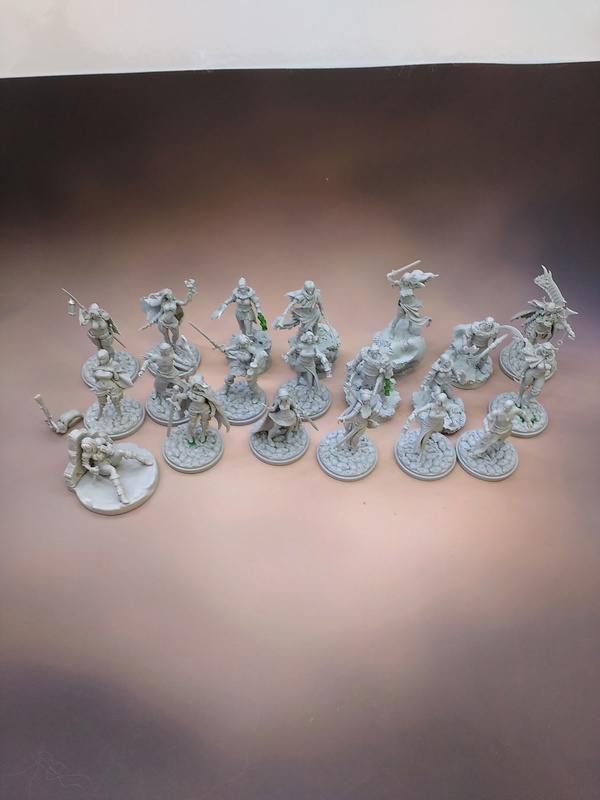 They are all very nice looking sculpts and I enjoyed painting them. 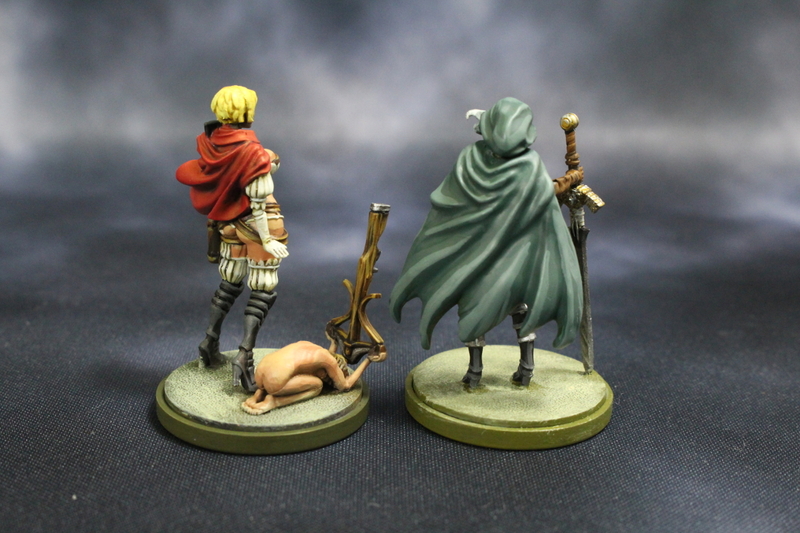 The two Wall models are a part of the narrative in Kingdom Death. Before the Wall, she is just starting on her hunt, determined. Beyond the Wall, she expresses fear. Her armour, and herself, more bloodied and dirtied. Hiding behind this little brick wall. A quick update on the hair of a couple models. Then, more pinups! Anya the Survivor, a Savior, Great Game Hunter, and Twilight Knight. Doing peacock feathers were interesting, needed to look that up and pick a style. Posted by Jason Bergunder in Army building, Kingdom Death, StaticGrass Creations. All 20 models are built and ready to be painted. Needs a bit of time, though, there’s a couple commissions to go still.